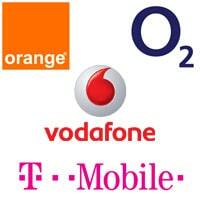 The European Commission has announced that it has decided to open an in-depth investigation under EU merger regulations into the planned NFC joint venture between mobile network operators Vodafone, Telefónica and Everything Everywhere. The three mobile network operators first announced plans to create a joint venture company to introduce NFC services in the UK in June 2011. A formal request to go ahead with the joint venture was filed on 6 March 2012. The UK’s fourth mobile network operator, Three, which was not invited to join the joint venture, has consistently objected to the venture. However, “the opening of an in-depth inquiry does not prejudge the final result of the investigation,” it adds. The Commission now has 90 working days, until 27 August 2012, to make a decision on whether the proposed transaction would reduce effective competition in the European Economic Area (EEA). Everything Everywhere, Telefonica UK and Vodafone UK have been informed by the European Commission that their plans to form a mobile commerce joint venture in the UK will require further discussions. The EC decision to enter into a second phase of investigation follows constructive discussions with the EC about the purpose and scope of the joint venture. The discussions have been positive and the shareholders in the proposed joint venture remain focused and determined to progress with the project. During the course of discussions with the EC it has become apparent that the embryonic nature of the mobile payments market in particular means that more time is needed to fully consider the proposed joint venture’s plans for a mobile wallet and engage with the views of other interested parties. We remain confident that an extended review will conclude that the proposed joint venture is pro-competitive and will provide robust competition to global players. The joint venture shareholders believe the proposed joint venture will bring significant benefits to consumers as well as all businesses and organisations that want to offer mobile market and m-payments services. At the heart of the proposed joint venture is a desire to bring to the UK an easy and simple solution for businesses to create and consumers to enjoy m-commerce services. The proposed joint venture will make it easy for companies of all sizes to create brand new services that will sit in the mobile wallet. The proposed joint venture will also provide a single contact point for advertisers, media agencies, retailers and brands that will enable them to book advertising space and create campaigns across all opted-in mobile users, affording economies of scale that they could not ordinarily achieve. For consumers, this means they will be able to receive the discounts and offers that they want to receive from the brands that are relevant to them. The partners in the proposed joint venture want to keep UK PLC at the forefront of digital innovation, creating jobs, promoting innovation, fostering competition, investing in and contributing to the growth of new digital industries. how is this going to affect deployment of NFC during the London Olympics?